Looking For An Ingatestone Car Shop? If you are searching for the best Ingatestone based car spares and parts outlet, then you have come to the right place. 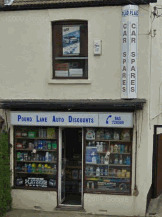 Pound Lane Auto Discounts, or Car Spares Essex as we are known online is where you should be. However we’ll be honest from the very start and tell you we are not based in the town, but that won’t bother you, when you find out what we can offer. Let us tell you a few things about us, and we are sure that once you discover what we offer, then you will join in with our loyal band of followers. Customers that have stayed with us for over 30 years and have made us not just the best motor factors near Ingatestone, but actually the whole of Essex. And believe us when we say, we want that reputation to continue. And the best prices that we can manage too. And although that seems to be exactly what our customers want it is the range of stuff that we can offer that really sets us apart from any of the other motor facts and car spare sellers around Ingatestone and the rest of Essex. If you need car parts for a 1960 Mini, a classic car, or even an import we have the connections to supply the parts you want and quickly. We can supply for the latest models out on the road today, to those hidden gems of motors that you keep locked away in your Ingatestone garages and bring out just for special occasions. Most of the time just a quick call to us and you will have the part for your car or van that you want. We either have it in stock, or we can get it for you easily enough. And even better than that you can use our amazing e-store and have direct access to over 150,000 parts too. Simply search online buy the item and then come into pick it up. Click and Collect at its brilliant best. What If I Can't Find The Item On Your Online E-Store? If we don't have it online, then don't worry, this is where we really can wow our Ingatestone drivers. After being around for 30 years, we have a mass of contacts, networks and colleagues in the Motor trade who can help us out. From breakers, to specialists, to other car spares and accessories dealers, we can make a call on your behalf. So it doesn't matter if the car spares and parts that you are searching for are hard to find, we can generally locate them for you. And our stockists quite often will be able to deliver them to us for your collection within 24 hours. Most of the time though it is considerably quicker. This All Sounds Good But What Models Can You Supply Parts For? 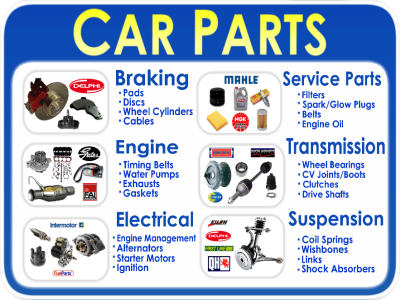 The following list are the makes and models that we can currently supply car parts for. And I think you'll agree, this covers most of the vehicles that you will find driving around the streets of Ingatestone. Right at the bottom of the page, are the examples of what type of parts we can supply for each too. Ok You Have Convinced Me....Where Can I Find You? Well don't worry about struggling to find us, as we are a really easy drive from Ingatestone. Just head down the A130 until you get to Benfleet and then at the roundabout (Sadlers Farm) take the B1464. We are bang smack in the middle of all three of the main routes that run through Essex (A13, A127 and A130), so it shouldn't take you more than twenty minutes. Order your part for collection and then come and collect.